Chipotle Becomes The First Fast Food Chain to Say No to GMOs! First, they sang our tune with the introduction of their entirely plant-based sofritas. Now, they’re positively seducing us with the news that their ingredients list is about to be entirely free of genetically modified organisms (GMOs) in all of their over 1,800 locations. It’s official. 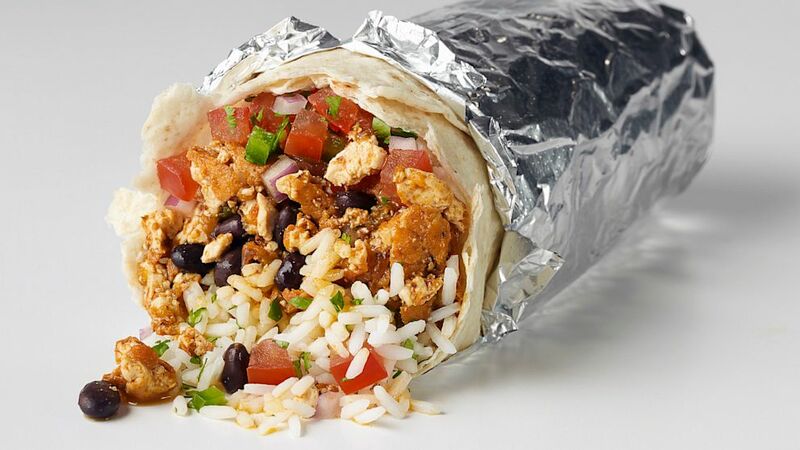 Chipotle is the fast food restaurant of the future. While they’ve been identifying which of their menu items contain GMOs and which don’t (another first for a restaurant in the convenience food space. They’re just a tasty little trailblazer, huh?) since 2013, the company has decided that, with the exception of their soft drink selection, they will be an entirely GMO-free eating establishment from here on out. The controversy over GMOs is in full rage right now, with people on both sides of the debate adamantly fighting for their side. While the long-term safety of GMOs hasn’t been proven, the general consensus is that there isn’t enough known about the practice of modifying a crop to guarantee it’s a good idea for human and animal health in the long run. Add to it the fact that GMOs exist largely due to the need for crops that can withstand some of the most deadly pesticide chemicals known to man (Agent Orange anyone?) and you’ve got a product with more dubious question marks than positive checkmarks. Now, this doesn’t mean that they’re suddenly going to go in for cheaper and less healthy components in their products just so they can wave the flag of GMO-free. They’ve even gone so far as to reformulate the tortillas with a non-GMO canola oil so that they comply with their new vision while continuing to consider dietary as well as environmental concerns. So, let’s get this straight. Aside from the soft drinks, which come pre-mixed with ingredients that Chipotle doesn’t control, when you walk into your neighborhood bastion of burrito bliss, you’re getting something without palm oil, weird fillers or GMOs? Pretty close, but not quite. While Chipotle is also known for higher requirements for care and antibiotic standards for their animal products, the company points out that most animal feed given to livestock in the U.S. contains GMOs and thusly, their meat and dairy products may contain them as well. The company is working on the issue so that they can eliminate GMOs from those products as well (their beef is currently fed non-GMO feed), however, the current removal of GMOs only applies 100 percent to their plant-based products at the moment. Another argument for holding the meat and loading up a burrito full of beans, sofritas, guacamole, pico de gallo and fajita veggies on your next lunch trip? We think so. Also, could you grab us one too?